Gen. William Appleton Aiken (1833–1929) was serving as chief aide to Connecticut governor William Buckingham (1804–75) during the Civil War, when Buckingham named him quartermaster general of Connecticut with the rank of brigadier general. On April 22, 1861, Aiken successfully delivered key intelligence dispatches to Abraham Lincoln in Washington D.C., alerting the president that Connecticut troops were on their way to support the Union war effort. Aiken married Buckingham’s only surviving child, Eliza (1838–1933) later that year; their Washington Street house was a wedding gift from the governor. Following the war, Aiken purchased the Norwich Nickel and Brass Company. 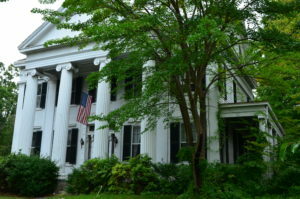 In 1867 he took out a $10,000 mortgage on the house to enlarge and remodel it in the Greek Revival style, creating the style’s hallmark “temple front” by adding a pedimented portico in the Greek Ionic order. 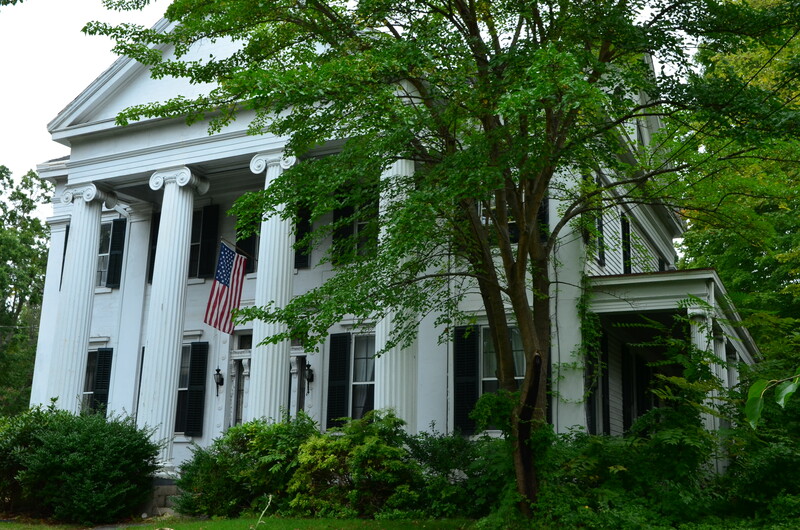 The couple had seven children, and the house remained in the Aiken family until 1940.